Some wandering minstrels spent their time travelling round the country. They performed in taverns, market-places or any other place they could find an audience who were willing to pay them. 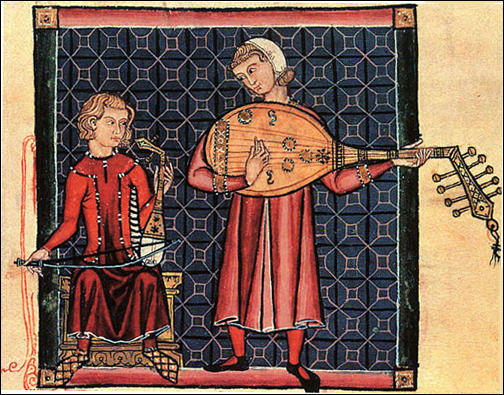 Wealthy people in the Middle Ages employed minstrels to entertain them in their homes. Minstrels told stories, recited poems, sang ballads and played musical instruments. They were usually well paid. For example, in 1322 Agnes the Redhead received 4 shillings from Edward II for just one performance. The ballads sung by the wandering minstrels were different from those performed by the minstrels employed by the lords. These ballads were sung in English instead of Latin and French. Employing simple rhymes, these ballads told stories that were of interest to ordinary people. 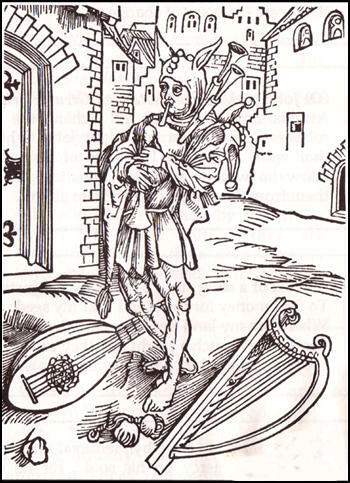 Ballads sung by minstrels often dealt with rebellion. The most popular character in these ballads was Robin Hood. Honest men who had been forced to become outlaws by cruel government officials or corrupt members of the clergy, were a common theme in these ballads. 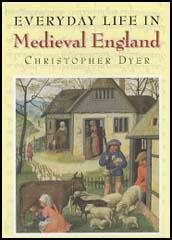 The peasants in the Middle Ages particularly seemed to like ballads that told of outlaws who stole from the rich to give to the poor. Minstrels not only entertained people with their ballads. They were also a source of news. As villeins were not allowed to leave the village, they relied on minstrels to bring them information about what was going on in the rest of the country. I can not perfectly say the Lord's Prayer as the priest sings it. But I know rhymes of Robin Hood and Randolph, earl of Chester. (Wandering minstrels) were the journalists of their day, keeping the people informed of ideas and events from beyond the borders of their limited acres... They traded in pleasure, in hard news and gossip, in the latest fashions, in poetry, song and dance - they were the voice of change. At this time (the reign of Richard the Lionheart) there flourished the most famous robbers Robin Hood and Little John, who lay in wait in the woods, and robbed those that were wealthy... The feats of Robin are told in song all over Britain. He would allow no woman to suffer injustice, nor would he rob the poor, but rather enriched them from the plunder taken from abbots. To find money for the king I sold my seed. Wherefore my land lies fallow and learns to sleep. They fetched the fair cattle from my fold, and when I think of my welfare I nearly weep! Thus many bold beggars are born... People are in such a plight that they can give no more. I suspect that if they had a leader, they would revolt. Christ have mercy on his soul... for he was a good outlaw, and did poor men much good. There are actors who have musical instruments for men's delight. Some haunt public drinking houses and other assemblies, where they sing many songs to move men to mischievous behaviour... But there are others who sing about the lives of princes. (Source 9) Law passed by Edward IV in 1469. No minstrel of our kingdom, although he may be sufficiently learned in his art or occupation, shall in any way exercise this art or occupation within our kingdom henceforth unless he be a member of the guild. Question 1: Describe the two different types of minstrels in the Middle Ages. Explain the different reasons why these men and women became minstrels. Question 2: Select passages from the sources in this unit that suggests that wandering minstrels were very popular in the Middle Ages. Question 3: Study source 8. Select songs from this unit that the Bishop of Worcester would probably have claimed "move men to mischievous behaviour". Question 4: Compare the value of sources 6, 8 and 9 to a historian writing about working-class entertainment during the Middle Ages.